Adding built-in mapping features now is anything but mad. Images courtesy ArKaos. 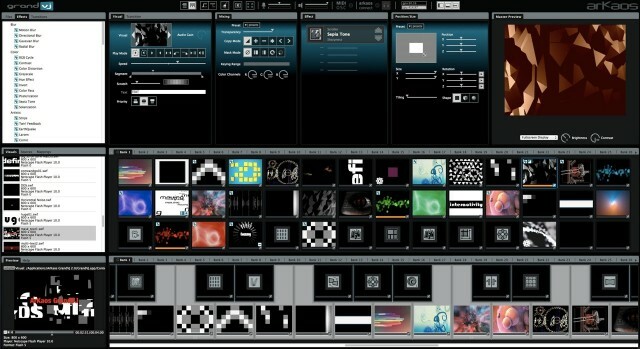 ArKaos’ GrandVJ live visual software is now in a major upgrade and out of beta, with a companion mapping module alongside. Some readers – largely those loyal to rival tools – have responded that the number “2” after GrandVJ left them wanting more substantial changes. But this isn’t a radical update – not in visible ways. Instead, ArKaos are tuning the ways in which you use the software and the performance beneath. Or another way to look at this – ArKaos are getting rid of some major gripes from users. That includes making sure codecs you want are there, some confusing user interface wrinkles have been ironed out, and that activation works more easily across a couple of computers. 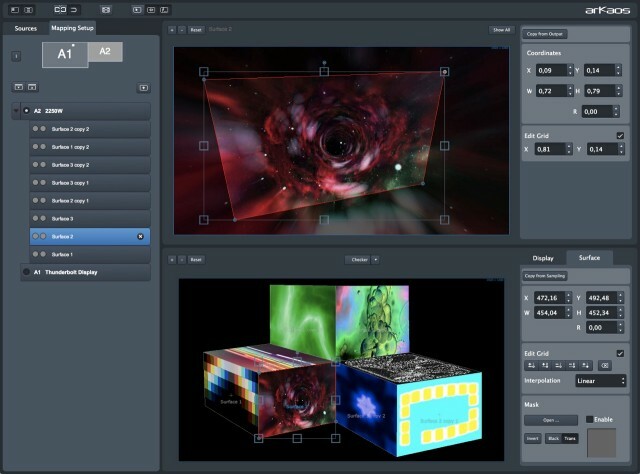 The free updates are nice, but the biggest news for ArKaos users is a built-in, integrated video mapping tool – something which previously required a third-party solution for greater control, as in MadMapper. In GrandVJ 2 XT, the VideoMapper extension is built-in. Like MadMapper, you get scalable surfaces you can use to tailor video content to projection surfaces, multiple outputs, LED screens, and the like. VideoMapper’s implementation looks rather nice. 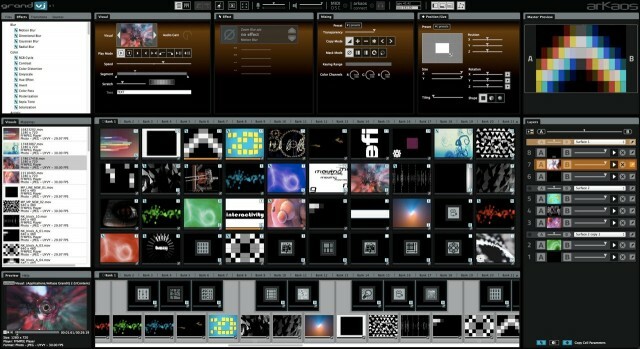 Cells and layers can be mapped directly, and the software automatically detects different mixes of outputs. You can see how it works in the gallery. It is certainly very similar to MadMapper, but the integration is nice – and if it can best MadMapper on reliability alone, I’m sold. Have a look, and we’d love to hear from loyal GrandVJ users; maybe you can even give us a test.